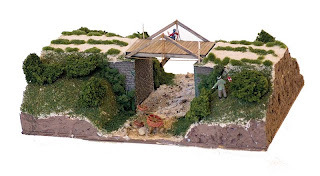 With 6 models receiving Merit Awards and scores of at least 87.5 points the requirements were fulfilled except for one structure - a bridge. 1. At least six different types of structures must be represented in the total. 2. One of the six types must be a bridge or trestle. 3. At least six of the models must be scratch built. 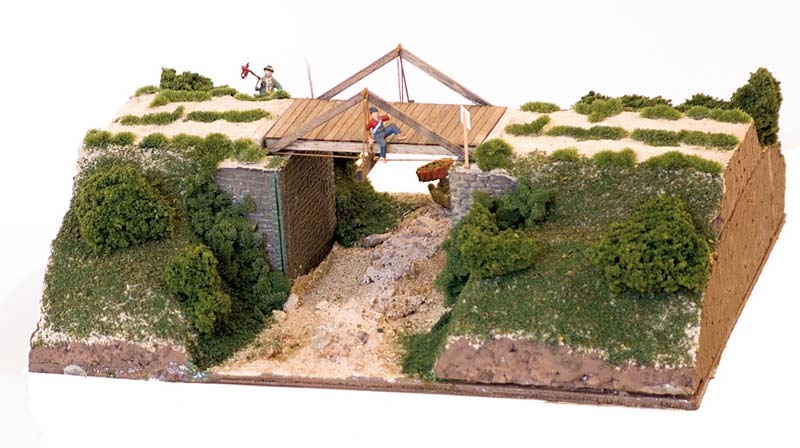 I browsed my Kalmbach book "Bridges and Trestles" and nearly at the end I found what I wanted to build - another very tiny structure - a small country road A-frame bridge. I stained my strip wood pieces with a mix of black india ink and isopropyl alcohol. Assembled everything, punched nail holes with my punch wheel and added the trusses. In this view the separately stained boards are shown. 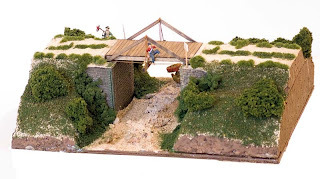 Again I build a small diorama for the bridge. 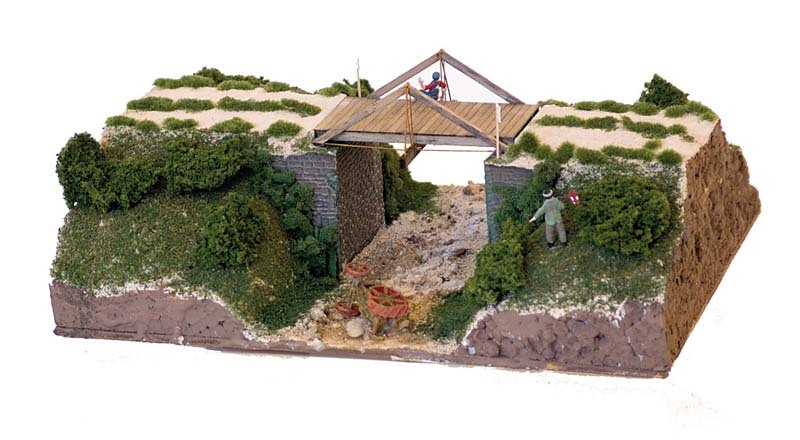 At the BR convention in Kegworth, the bridge received 90 points and another Merit Award.